Here are some suggestions for what to do if your video doesn't export or exports too slowly from Clipchamp Create. 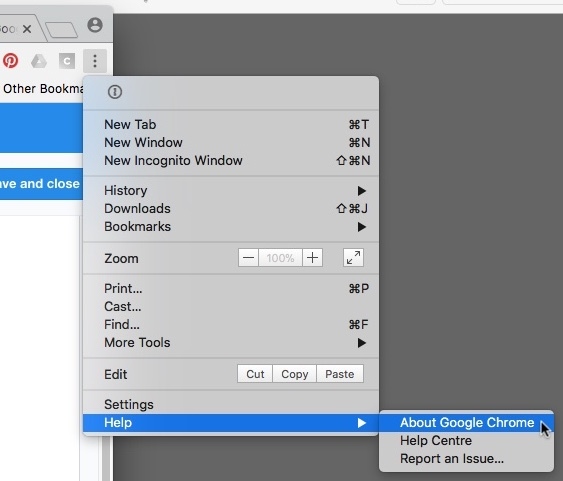 Avoid surfing in other browser tabs or windows while exporting – if you navigate to a different window or tab, Chrome de-prioritises the processing for other open pages, and thus the export may run more slowly or stop. Make sure Chrome is updated to the latest version. If not, update it. Clear your browser cache (in the "clear browsing data" menu choose "All time" and "Cached images and files"). Make sure you still have your original files (the video, audio and image files you added to your project) as you may need to relink them when you reopen the project. Close other browser tabs or windows. Shut down other applications on your computer. Avoid running in incognito mode (if you have opened an incognito window and are accessing Create in it, you are running in incognito mode). Check for an update for the graphics card driver of your computer. If you're on a Mac, this means checking your Mac system software is up to date. If you're on a Chromebook, this means checking your Chrome Operating System is up to date. If you're on a PC, you can check for and download driver updates from your graphic card manufacturer's site, e.g. Intel, NVIDIA, AMD. Switch off background tab throttling by going to chrome://flags in a new browser tab and searching for "throttle expensive background timers", then switching this setting from "default" to "disabled" and relaunch Chrome. Make sure you’re using a modern computer (64-bit operating system) and a 64-bit version of Chrome. If none of these suggestions help: The Chrome team has disabled some graphics card drivers as they can make Chrome unstable or even lead to a crash, therefore we generally don't recommend to make a change to this setting however at your own risk you can also try the following: go to chrome://flags/#ignore-gpu-blacklist in a new browser tab and enable this flag, which will allow all graphics (GPU) drivers to be used. Be aware that this might lead to Chrome becoming unstable. If you have access to a different computer with a different CPU and graphics card and more memory available, you can try opening and exporting your project on it instead. NOTE: to do this you must bring your input files with you, please see working on a Create project on a different computer. Alternatively, you can try breaking up a longer editing project into several shorter ones and see if that enables you to export (you can create a copy of a project via the Projects Page or through the top left menu in the project itself, then delete a part of it and try exporting that). You can also try compressing the video files you are using in the project (for example by using Clipchamp Utilities) and adding the resulting MP4 files to your project instead. If you don't mind sharing your input files with our support team, we can analyse a project that's failing to export to try and determine what the problem is and fix it. If you'd like to do this, please get in touch with us through the chat icon in the bottom right. Note that at certain times of the day or on weekends it may take some time to receive a response due to time zone differences and our office hours.